Let's start off this week with a haul/review and most importantly, a giveaway! 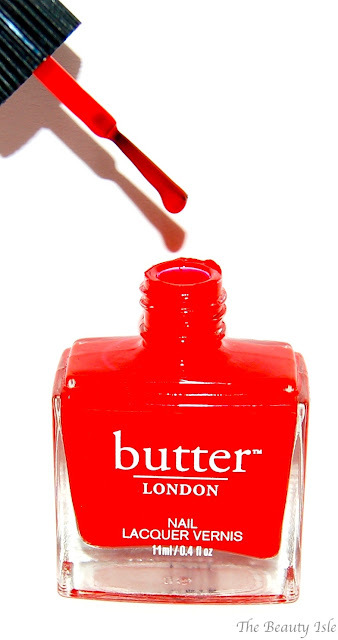 butter LONDON is well known for their high quality nail polishes. I have a few of their polishes in my collection and they are some of my favorites. They recently released a new collection called, Shine Out Loud. 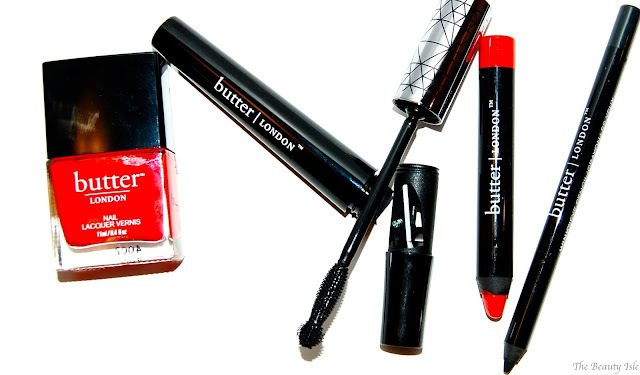 In this collection they applied the lacquer-like shine of the polishes to their makeup line. They focused on bold lips, eyes, and nails. 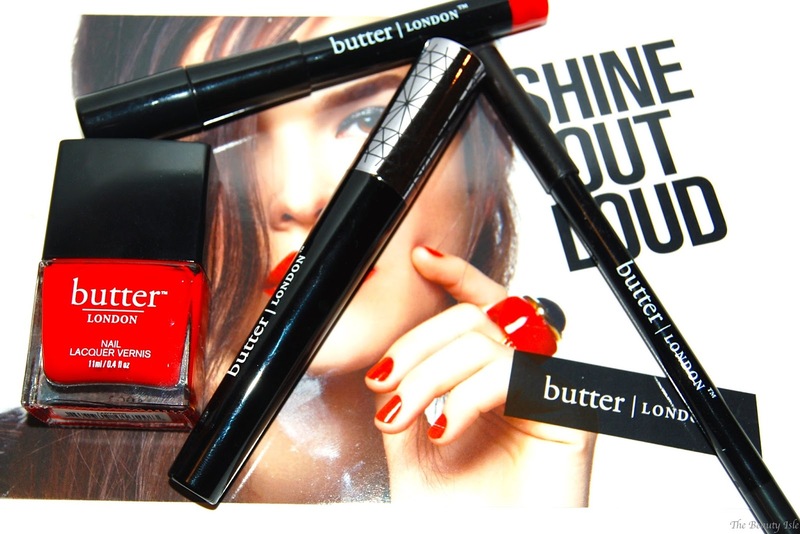 I was recently sent a few items from butter LONDON's new Shine Out Loud line that I'd like to share with you today. 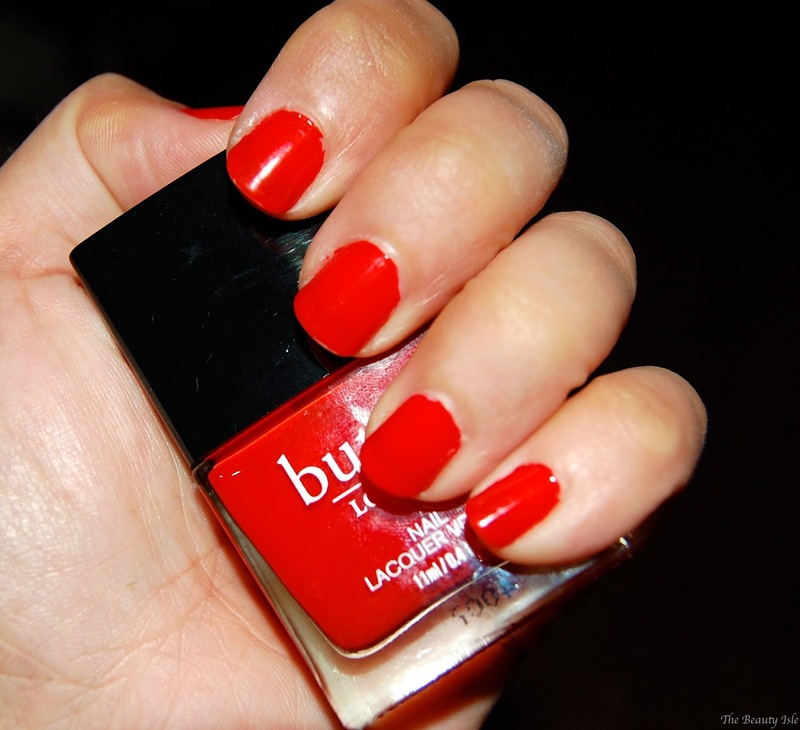 This is a vibrant tomato red nail polish and it screams summer but is perfect year round, especially during the holiday season! The quality of this nail polish is amazing. You get full opacity with one coat but I went with 2 coats because I like a thicker look. This polish lasted between about 4 days on my nails with a base coat and top coat. This lip crayon is intensely pigmented and glossy! The color is very bold but it pulls a little orange on my coloring. It has a slight minty scent to it. I love that a sharpener is built right into the cap, it makes things so much more convenient. 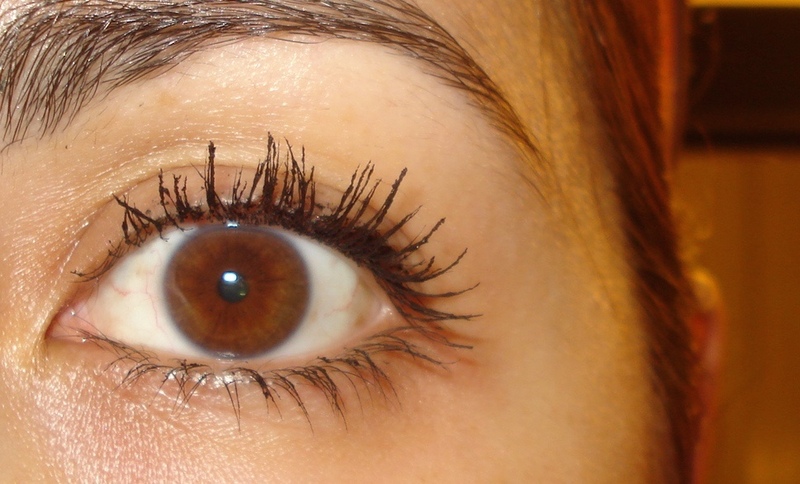 This mascara claims to add 300% more volume in your lashes. 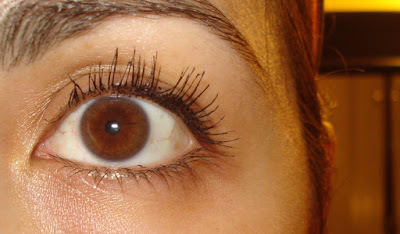 I don't know about that but it did a good job at adding some volume and lots of length to my lashes. I love how black it is. 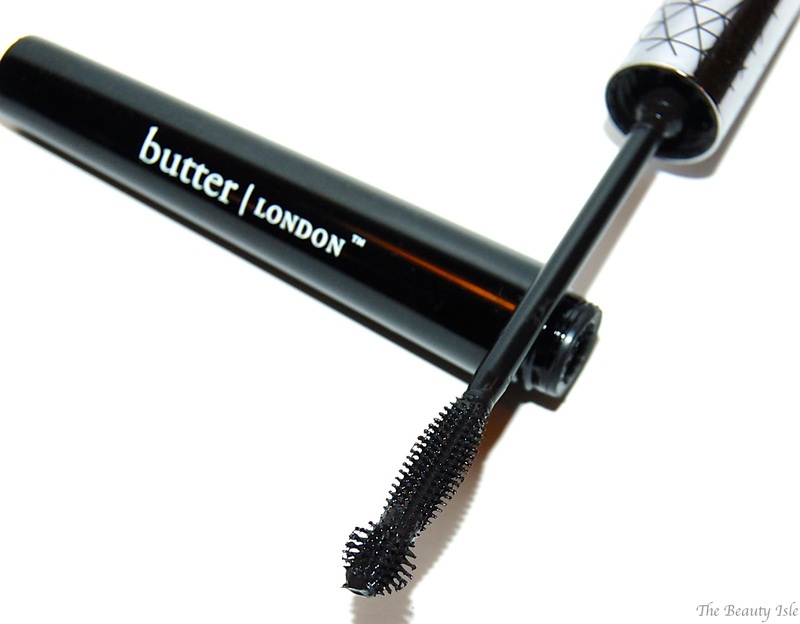 The wand on this mascara is great with the domed tip which is perfect to reach those inner lashes. This eye pencil is SUPER black and creamy. It's really easy to apply and didn't smudge on me. I use it on my waterline and upper lash line. And now here's what I'm sure you read this post for. :) butter LONDON sent me 2 of every product I just discussed so I'll be sharing one set with you guys! One lucky winner will win one of everything shown above. Giveaway ends Sunday, June 21st at midnight. butter LONDON provided the prizes, I will be mailing them out. I am not responsible if the mailed package is lost or stolen.